The Panama Canal Board of Directors this week formally approved the development and construction of a transshipment port in Panama’s Corozal region. Upon completion, the port will have the capacity to handle more than five million TEUs within a 120-hectare area at the Canal’s entrance to the Pacific. The project is now awaiting the final step for approval from Panama’s National Assembly. The two-phased port project will include the construction of a 2,081-linear-meter-dock, a container yard, offices and warehouse facilities within a 120-hectare area owned by the Panama Canal. The National Assembly is expected to review the bill in the coming days. If approved, the Panama Canal will move forward with the development and tender process. The Panama Canal will issue a call for bids to hire a company that will be responsible for all stages of the project. The contract will, most likely, consist of a 20-year concession, renewable once for 20 years. ”Advancing the terminal in the Corozal region is a priority. It is part of the Panama Canal’s goal to explore and develop areas, products and services that are close to our core business, and that add substantial value to our customers as a one-stop gateway with multiple services,” said Panama Canal Administrator/CEO Jorge Luis Quijano. If you wanted any more proof that the cruise industry is doing very well, then we are sure the news before the weekend that Celebrity Cruises had two new ships would be it. Other cruise lines also have new ships on order, such as Carnival with Vista, although that is still very much elusive, such as the details Celebrity shared. Project EDGE, as this program is called are two ships that will hold 2,900 passengers each and they will come in at 117,000 tons and so will have a large ship feel inside, while being much smaller on the outside. They will sit between Solstice and Millennium-class vessels, so will give them the ability to go smaller ports than Solstice-class ships can manage, which will then help expand Celebrity’s ports of call. Celebrity Cruises has not shared any more details with us about these new ships, although we can tell you the first will debut in 2018, and the second in 2020. However, we do hope the cruise line will be more forthcoming than Carnival are with its Vista ship, as that is still rather elusive. It’s official: Florida’s Port of Palm Beach will be getting a replacement ship for Bahamas Celebration, which was damaged after striking an object when sailing from Freeport Oct. 31. 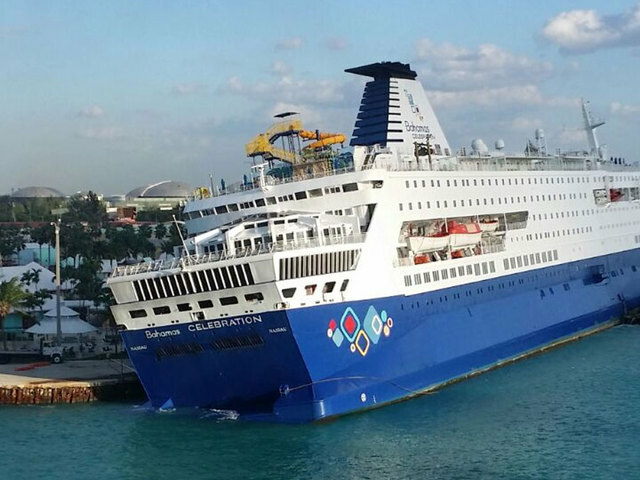 Grand Celebration, built in 1987 as Celebration for Carnival Cruise Lines, is to begin operating as early as February for the newly named Bahamas Paradise Cruise Line, the Port of Palm Beach confirmed Tuesday. The ship will depart every other day on two-night Bahamas round-trips and offer cruise and resort vacation packages of four to eight nights. ‘This is a tremendous day for the Port of Palm Beach and Palm Beach County,’ executive port director Manuel Almira said. According to port chairman Edward Oppel, the agreement for a new multi-day cruise vessel will generate an average of nearly $3.9m of annual net revenue and significant spending for Palm Beach County. The 47,000gt Grand Celebration can carry about 1,800 passengers, about the same as the ship it’s replacing. Most recently Grand Celebration was named Costa Celebration and, previously under operation by Iberocruceros, Grand Celebration. Bahamas Celebration, which grounded on Halloween night outside Freeport with no injuries, had entered Grand Bahama Shipyard for repairs. The vessel was built in 1981 and previously sailed as Prinsesse Ragnhild for Color Line before undergoing a major conversion in 2009 to begin Bahamas cruises from Florida. At 36,000gt, it is smaller than Grand Celebration. Grand Celebration has 10 public decks and 751 cabins, more than 60% with ocean views. There are 14 terrace suites. The pool deck has five pools and Jacuzzis. Other public areas include a spa and fitness center, five restaurants and a casino. The Port of Palm Beach said the ship’s 950-seat ‘performance center’ will stage big-name concerts.